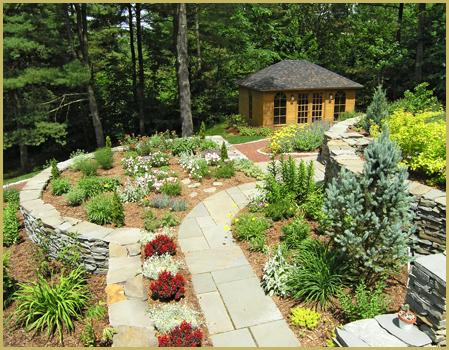 At Earthscapes, we love going to work every day, and it shows. 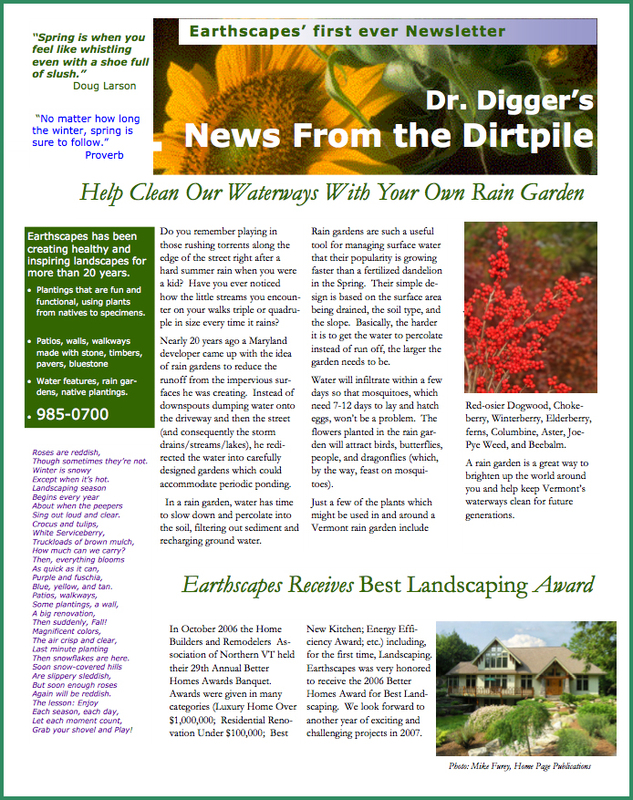 Now in our 25th year of operation, Earthscapes is locally owned by Vermonters with roots here as deep as an oak's. 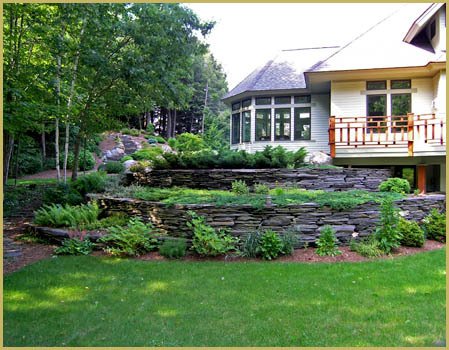 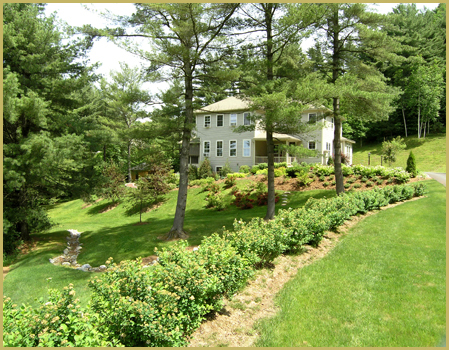 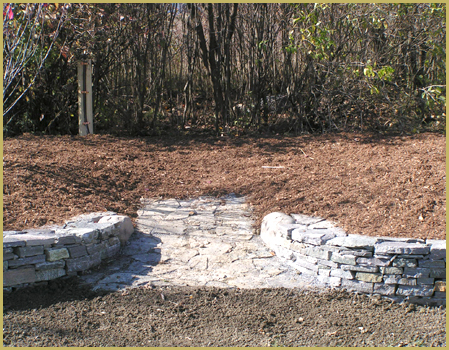 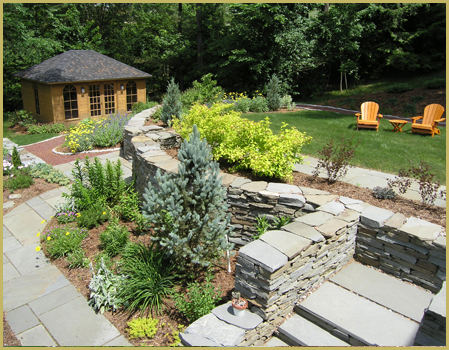 We are dedicated to providing practical, aesthetically pleasing, and ecologically sound solutions for any landscape. 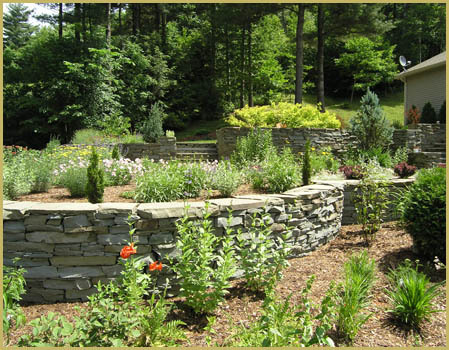 We design, install, and maintain landscapes with the utmost care and attention to detail: plantings, patios, ponds, walls, walks, windscreens. 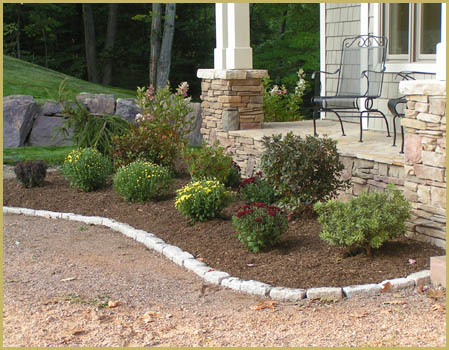 Do you want to maximize curb appeal to help sell your home? 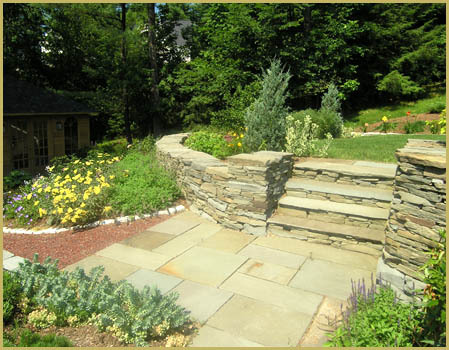 Do you want to add a patio bordered by stone walls and raised beds? 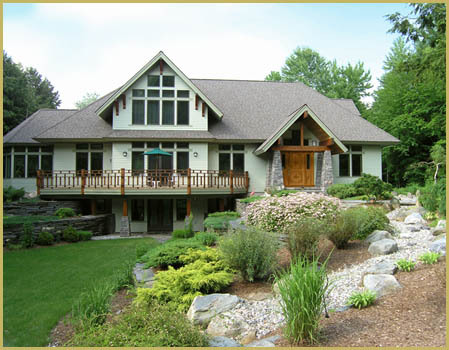 Do you want to create a property you will be comfortable on for the next 50 years? 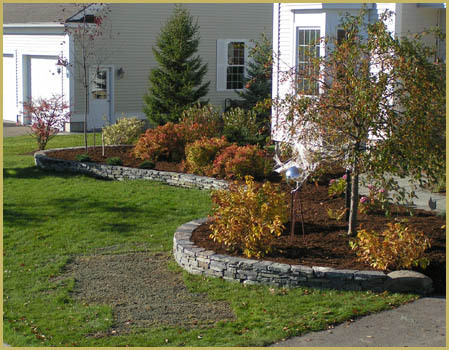 We will happily work with you.